You work hard on your garden year after year. You deserve to relax in peace and quiet while sitting there admiring your beautiful work! What would be better than sitting on a swing in your garden curling up to a book drinking your favorite hot tea? Sounds like a magical dream, right? Let’s make it a reality in your own backyard garden! 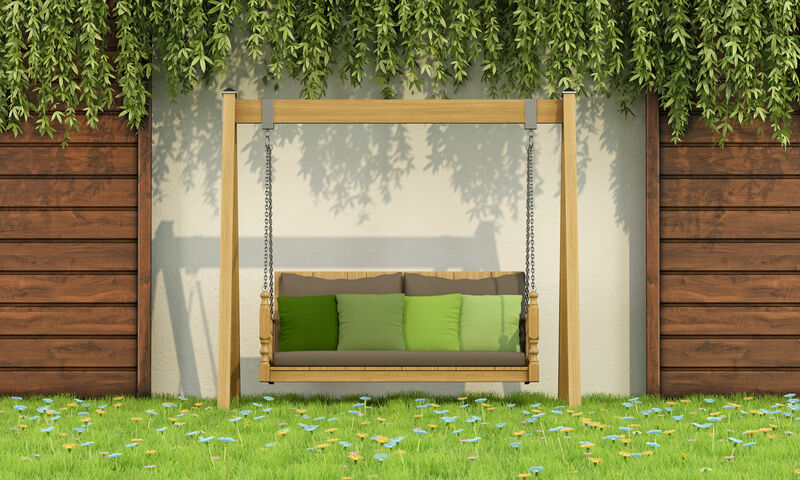 These gorgeous backyard garden swings will give you inspiration for your own backyard. Think about which one would help you wind down in your own garden. Have a big strong tree in your backyard around your garden? The perfect thing to do is to put that giant tree to use! An elegant swing would be a wonderful add on to that tree. These tree swings can be as simple or as elaborate as you would like! 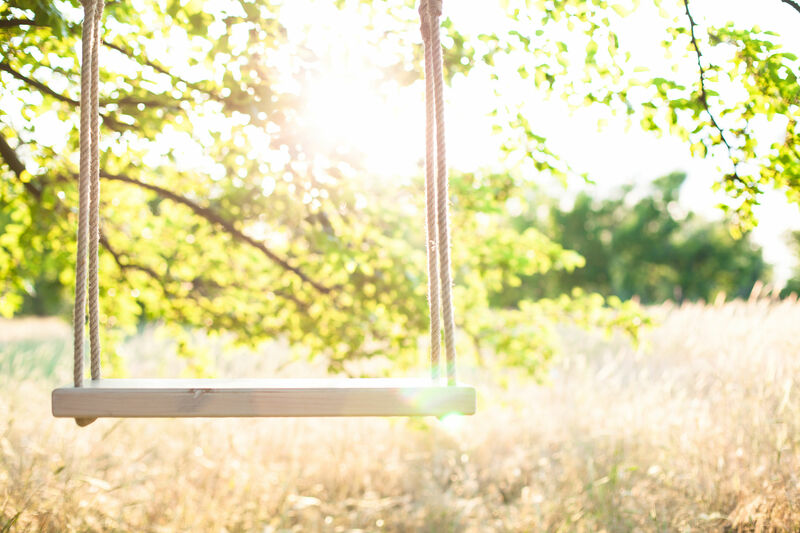 A simple tree swing would look like the one you use to swing on when you were a child. Or you can purchase extremely large and comfortable swings to hang on the tree! Either way, find what works best for your lifestyle. Tree swings can be something you can easily do yourself. You will need some basic items such as wood, rope, glue, screws, “s” hooks, and chains. HGTV gives step by step instructions on how to make a tree swing yourself! If this is something you don’t want to do yourself, WayFair has the most luxurious tree swings. These swings will help you to feel like you’re in your own little escape away from home. Hammocks come in all shapes and sizes, you’ll be sure to find one that tickles your fancy! They are great for relaxing, reading, napping, or just lying in to enjoy your garden. Now, you have many options with hammocks. Hammocks come in a laying and comfortable chair designs. No matter what style of hammock your looking for, it is out there! Again, you can purchase these beauties or add another DIY project to your plate. Bob Vila explains how to tackle this DIY project in a weekend! If your yard doesn’t have a tree, there’s no reason to panic! You can still place one in your garden. WayFair comes in for the win again with these budget friendly hammocks with stands. You can easily plop this hammock stand anywhere you want in your garden! The ultimate relaxing element to add to your garden is a swinging bed. Bring a blanket and some pillows to enjoy your hanging bed outside during the fall, spring, and summer months! Picture eating breakfast in bed outside watching the sun rise! A magnificent sight, right? Make your own oasis come alive. Have an old trampoline in your backyard? You can actually make a hanging bed out of an old trampoline! And my goodness does it look comfortable! If you don’t have a trampoline, ask around for people who are getting rid of theirs. This is a must DIY project for that strong tree in your backyard. Tree Hugger does an amazing job of giving more information about these incredible hanging beds! Whether this a do-it-yourself project or if you find a hanging swing, chair, or bed you love and purchase it, you need one of these relaxing areas in your garden! Let these inspire you to make your garden and backyard a calming escape you can enjoy whenever you like.